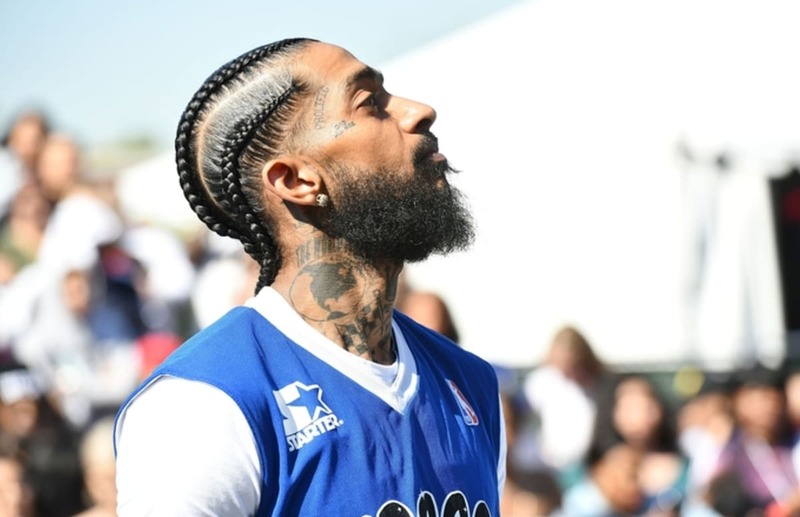 Nipsey Hussle‘s “Celebration of Life” memorial at STAPLES Center was such a beautiful event with many memorable moments, as we heard about Nip through the perspective of those closest to him. From his mother, father, brother, sister, friends and more talked about stories that they remembered about him. 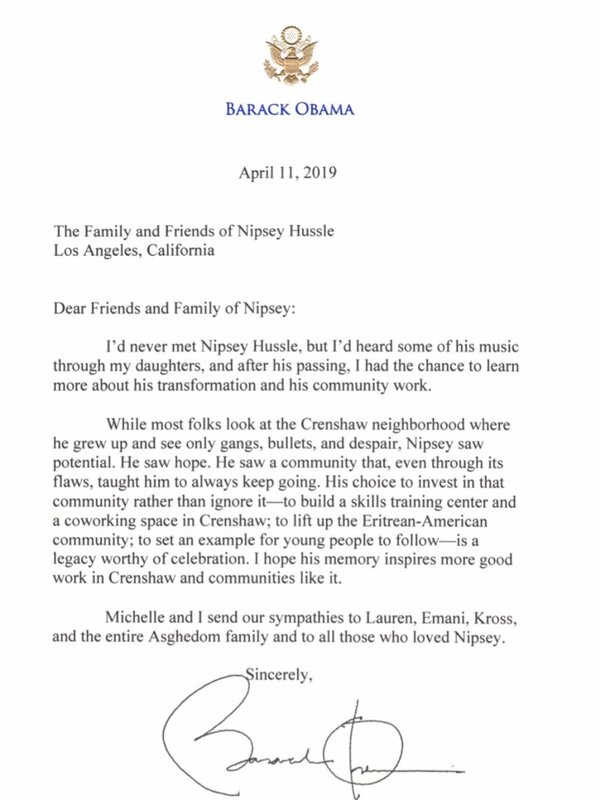 During the ceremony, a letter from the 44th president of the United States, Barack Obama was read, as he paid tribute to Nipsey for all of his work in the community and his example to the youth to follow. JAY Z also penned a letter of his own. Kendrick Lamar wrote something dedicated to Nipsey, explaining some memories of him on tour and how he saw him back then and what he became as his career continued. Read both below. Rest in heaven Nipsey Hussle. “In 2009, I remember trekking cities alongside Nipsey and family. Both performing as opening acts on The Game LAX tour. Our sprinter van trailed their mobile home from state to state.